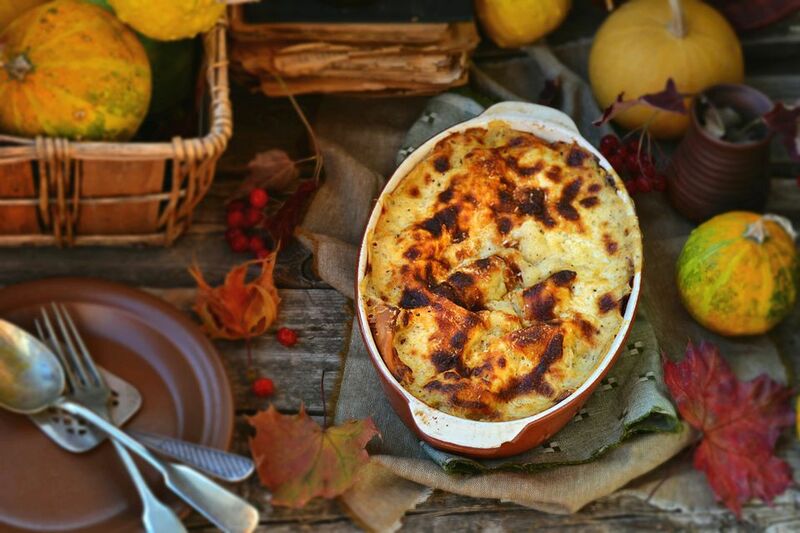 Canned pumpkin is a fabulous and convenient way to enjoy the wonderful taste of fall. Pumpkin is rich, delicious, and creamy when cooked, and can be used to add moistness and indulgent flavor to so many dishes. With plenty of vitamins A and C in addition to fiber, it's good for you, too! And there's so much to do with a can of pumpkin than make pumpkin pie. These recipes will inspire you to think beyond the usual desserts (though we have great recipes below for those, too!) and think about using canned pumpkin at every course—there's everything from soup to pasta and even a spicy cheese dip you can serve on game day. Skip the long lines at the coffee shop and make fall's quintessential drink—the PSL—without getting out of your robe. 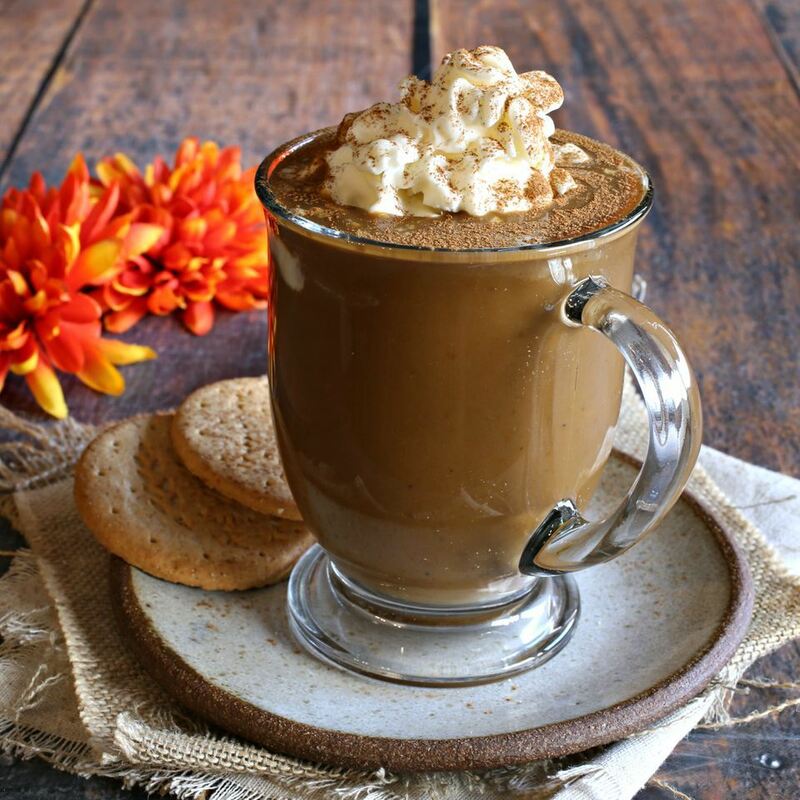 A few simple pantry staples added to homemade coffee turns your regular cup of Joe into the cozy autumn beverage everyone can't get enough of. This creamy pumpkin soup is so easy to make with canned pumpkin, store-bought chicken broth, and just a handful of other easy-to-find ingredients. Make it dinner-party ready by topping it with a dollop of pesto, creme fraiche, or some roasted corn kernels. What could be more classic for fall and welcome at the dinner table, than a pumpkin pie? Use a store-bought, unbaked pastry shell and canned pumpkin puree to whip up a one-crust pie in no time. Serve it topped with whipped cream, chopped pecans, or a drizzle of chocolate sauce. It's hard to make classic French toast better, but this recipe does it! Pumpkin puree adds extra moisture and flavor to lightly spiced, egg-soaked bread slices that are griddled in butter. The finishing spiced cider syrup recipe is to die for, too. You only need four ingredients, including canned pumpkin, to make a mouthwatering melted cheese dip that comes together in just five minutes. Smoky chipotle pepper kicks this partydip up a notch. This hearty three-cheese lasagna uses a pumpkin sauce in place of the expected marinara or bechamel, for a creative meatless baked casserole that's nothing short of gourmet. Mushrooms, onions, and dried sage add savory flavor that nicely balances the sweetness of pumpkin. Spiced and frosted pumpkin brownies with a tender cake-like center are made even more special with swirls of cream cheese batter throughout. These sweet treats will be a welcome contribution at fall dinner parties and potlucks. Bored of the usual red sauce on pasta? This savory fall pumpkin and sage sauce is a tasty way to top your favorite noodles. It's also naturally low in fat and suitable for vegetarians and vegans. Canned pumpkin puree and just a few simple ingredients form the filling for these creative dumplings that are boiled, then pan-fried until golden brown. Enjoy them as a first course at fall dinners or mid-day snack. Wake up to fall with a stack of pumpkin pancakes. Prepared baking mix and canned pumpkin makes them quick and easy. To make them weekend brunch-ready, finish the rounds with maple syrup and a sprinkling of roasted pumpkin seeds. We challenge you to eat just one piece of this indulgent cheesecake! From the homemade cinnamon-spiced graham cracker crust to the luscious double layer pumpkin filling, this dessert looks and tastes like you spent half the day in the kitchen when it's actually ready in just over an hour, start to finish. The secret's between us. These filled sandwich cookies are flavored with fall duo of nutmeg and cinnamon. The soft, fluffy pucks are filled with a homemade cream cheese icing, but feel free to use a prepared one in a pinch. This top-rated pumpkin cake roll is filled with a scrumptious cream cheese filling, then rolled, chilled, dusted with powdered sugar, and sliced for a pretty presentation. Make two cakes and keep individual slices wrapped in the freezer to serve when friends and family stop by at the last-minute. These baked treats are good to tuck into school lunchboxes or as afterschool snacks. Pumpkin puree is added to the usual muffin ingredients to make moist little cakes that could double as dessert (just add vanilla frosting!). Try tossing in a few pecans, raisins, or dried cranberries to amp up the texture. These delicious donut-like fritters are a fun way to enjoy the special flavor of pumpkin. Canned pumpkin puree goes into a simple spiced batter that's deep fried until golden brown, then rolled in cinnamon-sugar coating. One won't be enough. Pumpkin and Pasta: Two Fall Favorites in One!